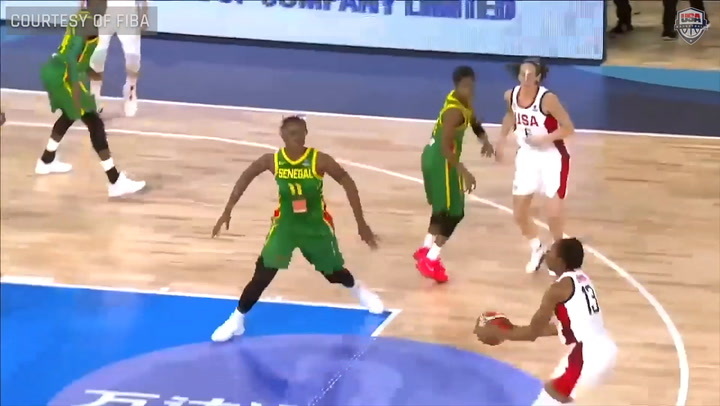 The perfect shooting of Nneka Ogwumike (Los Angeles Sparks) tied a 20-year-old USA Basketball World Cup record, and the USA Women’s World Cup Team (1-0) defeated Senegal (0-1), 87-67, in its first Group D game of the FIBA World Cup on Saturday evening at Quico Cabrera Arena in Santa Cruz de Tenerife, Canary Islands, extending its winning streak at the event to 17-straight games. Ogwumike shot 6-of-6 from the field and 4-of-4 from the free throw line on her way to scoring 16 points. 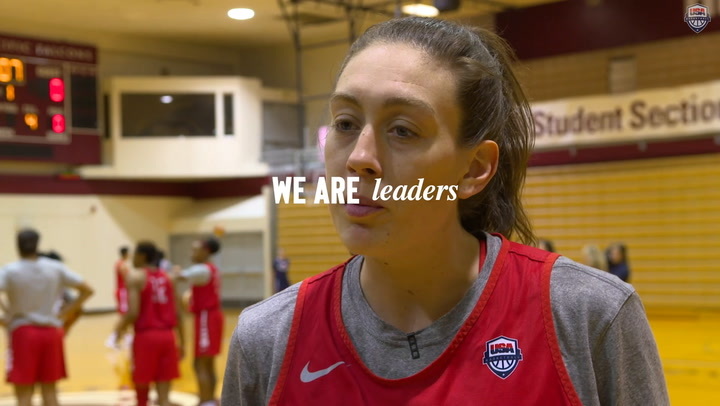 Her 100 percent shooting equaled a pair of prior U.S. 6-for-6 performances, including by Lisa Leslie on May 26, 1998 against Japan and Natalie Williams on Sept. 15, 2002 against Taiwan. Ogwumike played just 5:05 in the first half before scoring 12 of her 16 points over 15:34 in the second half. Dawn Staley, USA and University of South Carolina coach, said she felt like the team needed her energy on the floor during the second half. “I don’t like to play players for an entire quarter,” Staley said, “but she was doing some great things on both sides of the ball that I just felt like we couldn’t lose the energy that she was providing for us that entire third quarter. “Then we had to stick her in at the end, just to kind of control what (Senegal) was doing to us from an offensive standpoint,” Staley added. The Senegal fans gave their team a standing ovation at the end of the game after the 20-point defeat, the smallest margin in the five World Cup meetings between the teams. Senegal’s closest previous margin against the USA was 29 points, a 77-48 loss in 1998. Elena Delle Donne (Washington Mystics) played for 5:55 in the first half, but scored 14 of her team-high 19 points in the second half. Senegal got off to a fast start by going on a 10-0 run to get the early 10-2 lead with 6:37 to go in the first quarter. The USA opened the game by missing six of its first seven shots before settling down by making 57.9 percent of its shots in the second quarter on the way to a 45-31 halftime lead. A’ja Wilson (Las Vegas Aces) got to the free throw line seven times in the first half. She made five of them and scored 15 points in her first World Cup game. The USA also did a solid job moving the ball, with 28 assists and four players scoring in double digits. Breanna Stewart (Seattle Storm), who scored 14 points, was the other double-digit scorer. Brittney Griner (Phoenix Mercury), who suffered a right ankle injury in practice on Sept. 21, did not play and is listed as day-to-day. 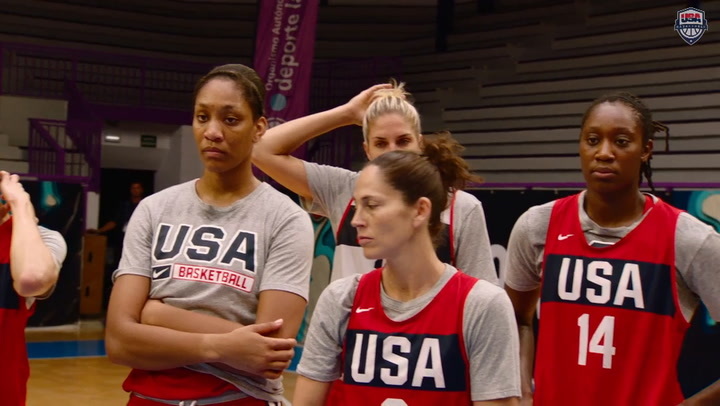 Ogwumike said maintaining a high level of efficiency is important for the USA’s success. The USA will continue Group D play when it takes on China (1-0), which defeated Latvia (0-1) 64-61, at 1 p.m. EDT on Sunday. The game will be televised on ESPN+.